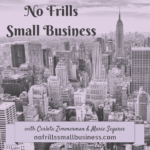 No frills, all (small) business - Carlota Z., J.D. 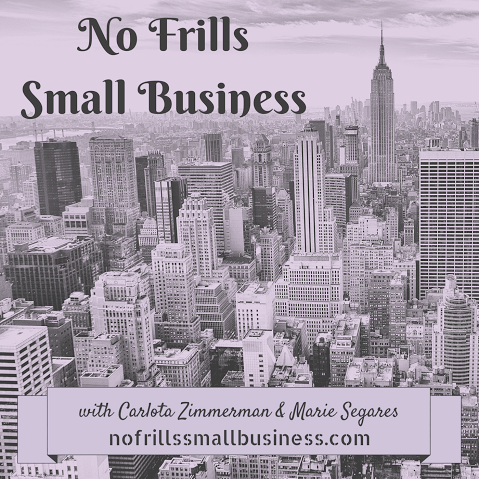 On March 30, 2015 at 1:00pm ET, I’ll be co-hosting, with my occasional nemesis/partner-in-crime/dear friend Marie Segares, the March segment of our “No Frills Small Business” podcast. Here’s a teaser for what we’ll be kvetching talking about: small business advice; how and why our respective small businesses saved and re-built our lives; our hard-worn life lessons and business triumphs that you, playing along at home or on the subway or in your crawl space home office, get to use for free. Seriously: there’s no point to our life lessons if they don’t help other people. I learned amazing things from deconstructing, and thus understanding other people’s mistakes. When I talk about what I did wrong, as well as I did right, I do so in order to help others. If you’ve already started your own small business, and have great advice, resources, ideas, questions, commentary: come on down! The more the merrier. Marie and I have been friends since 1989, so we want fresh blood. Since, let’s face it, half the time our relationship is something you’d find in the DSM-IV, with a sprinkling of Sanford & Son. Finally, if you have specific questions or issues about entrepreneurship for women, feel free to leave them in the comments, or text them to me @kittenmagix, or Marie @cyeshow…hope you’ll join us next Monday! Next: Next post: Get in loser, we’re starting a small business!